Last time we were talking about Soulja Boy, it was about that $55 million private jet that he never got, then how anti-American he is…. Now we are talking about his arrest this morning in Temple, GA. The rapper, real name, DeAndre Cortez Way and 4 other dudes were pulled over for a traffic violation when the cops discovered about $70,000 worth of weed and cash in the car along with guns. Yeah, this is such an epic fail, it’s almost laughable. There is of course a full on investigation going on for all of it. 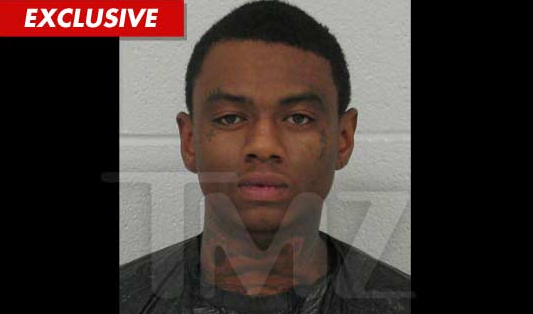 For now, Soulja Boy is sitting in the Carroll County jail, wondering what he is going to do now.